The fifth Dulcie Schwartz feline mystery: Could a missing book be haunted? Dulcie Schwartz doesn’t want to think so, but ever since it disappeared from the university, things have gone from bad to worse – one of her colleagues accused of homicide, and another revealed as an impostor. To top it all off, both the ghost cat Mr Grey and the kitten Esmé seem to have switched their allegiance to her boyfriend. Deprived of feline assistance, Dulcie must uncover the truth by herself, or else find herself on the hook for the theft – and murder. “A good solid mystery which is fun without being silly, and which melts my cat lover’s heart whenever Esme and/ or Mr. Grey are on the scene!” ~Bristol Public Library bookblog on GREY EXPECTATIONS. Shine: You wrote three nonfiction books before publishing your first pet-related murder mystery. What made you start writing mysteries? And why populate them with pets? Clea Simon: I’d always loved animals, and animals have always played a huge role in my life. My last nonfiction book (“The Feline Mystique”) let me explore history and mythology, behavioral science, psychology, you name it – all with cats. And I had a blast. So I did, and she did, and a fair amount of wine was consumed. And then towards the end of the party, when we were picking cupcake wrappers off the bookshelves, Kate turned to me and said, “Clea, you should write a mystery.” And so I went home and started one that night, which became “Mew is for Murder.” She gave me permission to do what I’d always wanted. Shine: In your earlier books, the animals don’t talk, but in the later ones, they do. What happened? C.S. : In my first four mysteries, the Theda Krakow mysteries, I was very concerned with making the cats be real animals. I was still mining a lot of the research I’d done with “The Feline Mystique,” and I wanted to put animal issues front and center in each book. And so “Mew is for Murder” dealt, lightly, with animal hoarding — the neighborhood “cat lady” is murdered. Then in subsequent books I dealt with puppy/kitten mills and pet overpopulation. 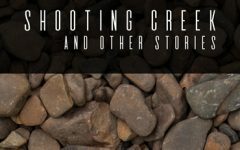 I wanted to — and I think I succeeded — in bringing these issues up without being preachy, and in the context of a fun adventure. And, of course, I obeyed the golden rule of cozy mysteries, which is that you can kill as many people as you want, but you cannot harm an animal. I also really enjoyed portraying my characters and their pets as directly as I could — we pick up cues from our pets all the time. They don’t HAVE to talk! Clea Simon is a Massachusetts-based writer, journalist and a regular contributor to the New York Times, Boston Globe, San Francisco Chronicle, Ms., Rolling Stone and Salon.com. She’s the author of three nonfiction books and lives in Cambridge, MA, with her husband, the writer Jon S. Garelick, and their cat, Musetta. To learn more about Clea, please visit her website and blog. 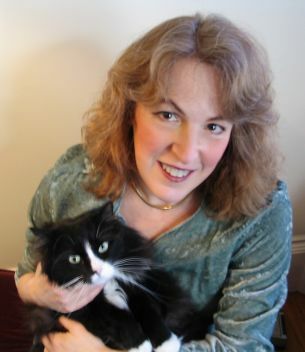 Clea Simon is the author of the Dulcie Schwartz feline mysteries, Pru Marlowe pet noir mysteries, and Theda Krakow mysteries. Her latest books, out this month, are Grey Expectations: A Dulcie Schwartz Feline Mystery (Severn House) and Cats Can’t Shoot: a Pru Marlowe Pet Noir (Poisoned Pen Press).